Hail damage can lead to issues that can compromise the integrity of the roof on your Shiloh, Illinois home. Even if your roof is relatively new and in great condition, impacts from hail can create opportunities for water to penetrate it and speed the deterioration process. 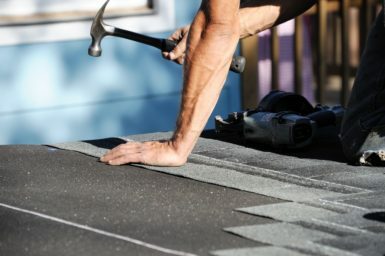 If your roof has been damaged by severe weather, let the experts at Daech & Bauer Roofing guide you through the repair process so your roof can be returned to optimal condition as quickly as possible. We’ve successfully completed more than 10,000 projects since we first opened our doors, and we have extensive experience navigating the insurance claim process. When you choose Daech & Bauer, we will be there throughout your dealings with your insurance company to ensure that you receive the compensation you deserve. Our technicians will participate in the roof inspection to make sure all hail damage is noted and review the claim summary to determine if a supplement needs to be sent to the insurance company. And, once you’ve been sufficiently compensated, we will provide the repairs your roof needs and we will back our work with a five-year labor warranty. If the roof on your Shiloh, IL-area home has suffered hail damage or other weather-related harm, contact Daech & Bauer Roofing today. Be sure to ask about the financing plans with low monthly payments that we offer to homeowners who qualify.